Oregon’s industry is not unlike the state: a quirky mix of high-tech companies and agricultural and natural industries. A few household names make their home in Oregon, like Nike, Columbia Sportswear, Intel and Harry and David. Oregon, located on the west coast between Washington State and California, is a heavily forested state dominated by agriculture, textiles, forestry and high tech. 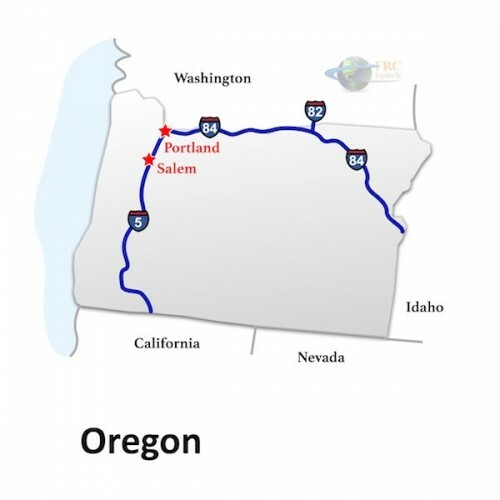 FRC works with Oregon trucking companies and people who need to move freight to, from and through the state. To price out an Oregon shipment now, try our instant, comprehensive online quotation tool. Interstates crossing Oregon include the I-5, I-82, and I-205. Oregon Department of Transportation’s Tripcheck website can help you plan the best routes by providing up-to-the-minute information about construction or weather conditions that may make travel hazardous or difficult for large loads. Our freight quotation tool can give you the information you need on costs. A large concentration of companies like Intel have earned Oregon the nickname “Silicon Forest,” as the state’s tech industry has begun to supersede forestry industries like logging, paper and building materials that for years were the backbone of Oregon’s economy. Next to technology, Oregon’s two major industries are machinery and chemicals. Agricultural products are important, too, especially hazelnuts and wine. Oregon is one of four major hazelnut growing regions worldwide, producing 95% of the domestic hazelnuts in the United States and ranking third in the nation in wine making. Fisheries are also a key industry in Oregon; the state is one of the major freshwater salmon producers in the world. Most of the trade in Oregon is centered on the Willamette Valley, where the state’s population is concentrated. The technology, machinery, chemicals and agricultural products that make up the majority of Oregon’s economic output are in highest demand in California, Texas, Illinois, Arizona, New York and North Dakota. With the manufacturing heart of Oregon situated in the Willamette Valley, most Oregon trucking and freight companies are based there, too. They carry the goods produced in Oregon to these destinations and others throughout the nation. Trucking in Oregon is subject to both state and local permitting laws. To make sure you’re in the clear, it is best to contact the Oregon Department of Transportation for the most up-to-date information about the type of load, weight and other permits you will need for trucking through the state. The DOT’s Over-Dimension FAQs page is a great resource, and another useful source of information for truckers heading through Oregon is the Oregon Trucking Online web portal, maintained by the Oregon Department of Transportation. Many permits can be purchased online through this portal. General Oregon trucking guidelines are as follows: maximum length, determined by the trailer, is 53’-0”. Maximum width is 102”, or 8’-6”; anything more requires a permit. Maximum height allowed is 14’-0”, with anything taller needing a permit. 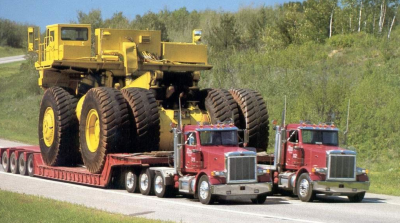 Weight is maxed at over 80,000 pounds GVW, 20,000 per single axle or 34,000 pounds on tandem axles. Overhangs are restricted to 4’-0” in the front and 5’-0” off the rear, with anything in excess requiring a permit. As some roads require a permit for a 53’-0” trailer, be sure to contact the Department of Transportation before heading out. 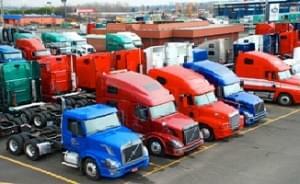 Oregon restricts truck travel during certain times and on specific days. Travel is permitted from one-half hour after sunrise and one-half hour before sunset Monday through Friday and until noon on Saturdays. Continuous travel is permitted for heavy loads only, with permits. Truck travel is prohibited on New Years Day, Memorial Day, Independence Day and Labor Day. For Thanksgiving, travel is permitted from noon on the Wednesday before through one-half hour before sunrise on the following Monday. For Christmas, travel is permitted from 2:00pm on Christmas Eve until one-half hour before sunrise on the 1st business day following Christmas.